March 2016 - Read. Think. Act. This is an incredible book. MBA programs in universities around the country should be using it as a case study. 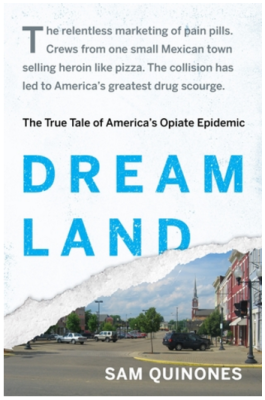 Author Sam Quinones is a long time crime reporter who became fascinated by the opioid and heroin epidemic that swept across this country killing more people than auto accidents. Quinones started researching the book full time in 2013 and it was published in 2015. The numbers are staggering. Just unimaginable. If it’s a subject you aren’t familiar with, it’s because the stigma associated with drug addiction and death has kept the largely white middle class Americans who have been affected silent about their suffering. This is a story about big pharma, the release of OxyContin, a single paragraph published in the New England Journal of Medicine in 1980, the shift in chronic pain management, the collapse of the manufacturing economy in many states, and the small state of Nayarit in Mexico that produced a large network of heroin traffickers out of its capitol of Xalisco. It was a convergence of pill mills in the East meeting a distributed network of drug traffickers from the West peddling a cheap and potent “black tar heroin” that collided in the state of Ohio. I LOVED this book! 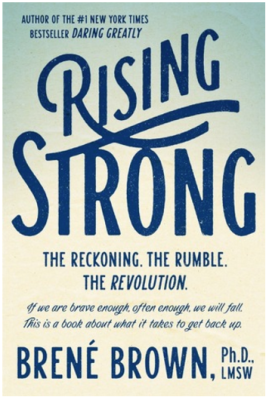 I finished it on the plane headed to SXSW and then saw Dr. Brené Brown speak at that conference the next day. She received the #SXSW2016 “Speaker of the Event” Award. Well deserved. Just phenomenal! I love the format of the book with its photos, flowcharts, margin notes, and chapter titles inspired by the lyrics of the Notorious B.I.G. Justice Ruth Bader Ginsberg’s life mirrors the cultural journey our country has taken when it comes to the issue of women’s rights and equality in this country. She has lived it. And her lived experience informs many of her searing dissents on issues we are still battling today such as reproductive choice and equal pay. 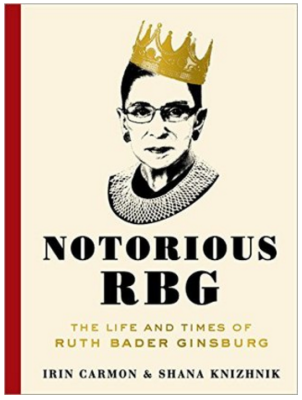 As an attorney, RBG won 5 out of the 6 women’s rights cases she argued before the Supreme Court and she works to this day to protect the gains made for women over the last 40 years. To understand her life is to glimpse where her passion comes from and why she remains committed to the fight for equality for women – as well as men. Her husband Marty Ginsberg was her “life partner” and they enjoyed 56 years of marriage before he passed away in 2010. He was committed to her career success while being a successful attorney in his own right. Despite her own battles with cancer and Marty’s death, she did not slow down or step down.